Visiting Casa Pinet in the small mountain village of Tarbena is one of those quirky experiences which will stay with you for the rest of your life. The drive from the Costa Blanca to Tarbena is quite dramatic. There are some bends which will give faint hearted travellers palpitations, but the views along the way are definitely worth it. Along the way you will see the nispero (also called loquat or medlar) farms where great nets protect the succulent fruit from the birds. The area is also famous for its almonds and its raisins. As you enter the town of Tarbena it’s a good idea to park up as soon as you can and walk through the narrow streets. There is parking around the central Plaza Mayor square where the church of Santa Barbara looms high above. If that’s full, head up past the town hall and follow the maze of streets to the cemetery. 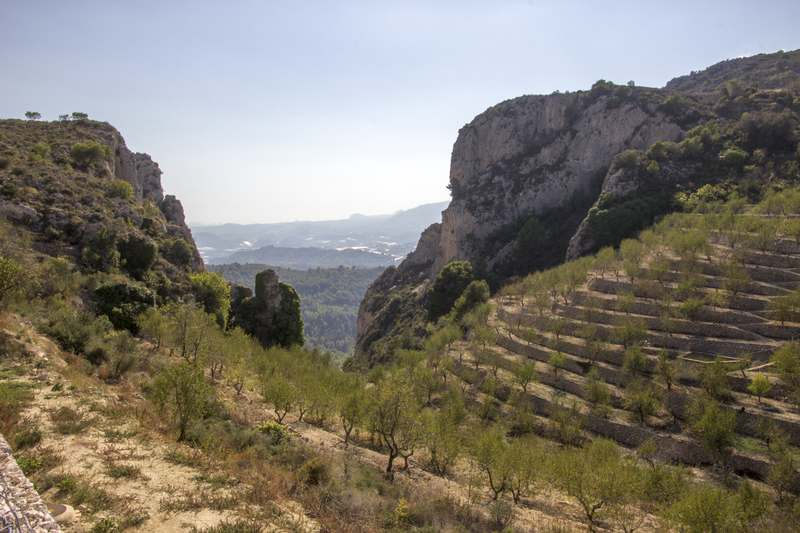 From there you will be rewarded with spectacular vistas all the way down to Benidorm on the coast. 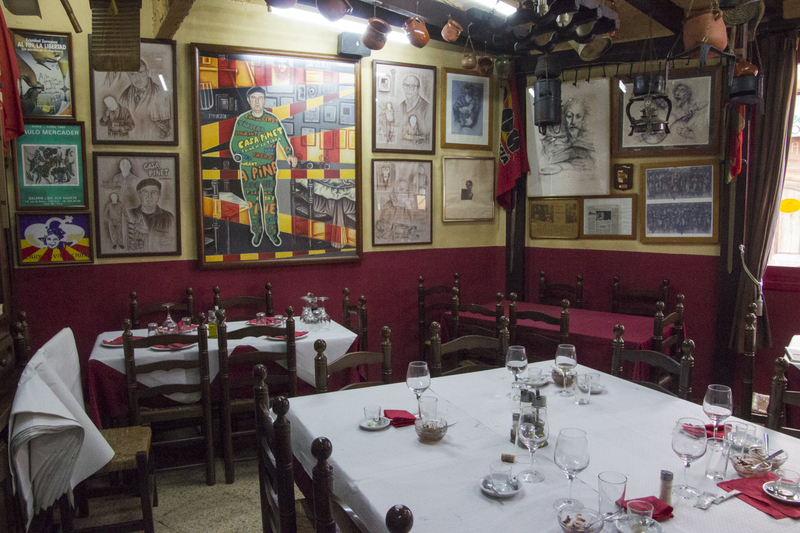 Back at Plaza Mayor is Casa Pinet. Time your visit carefully as it has become a popular stop for coach parties. When it comes to food and drink this restaurant has it all, but they are especially renowned for their collection of sausages! 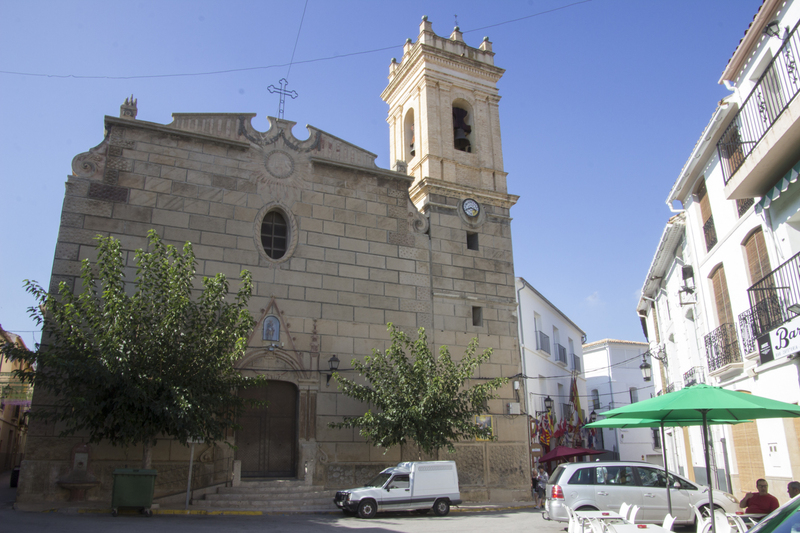 After the Inquisition the village was abandoned by its Moorish occupants. It was repopulated by impoverished Mallorcans thanks to a shipping magnate with a taste for the black pudding made in Majorca. He brought in a new population from the island to satisfy his taste! This industry still exists today as the black puddings are still made along with sobrasada, a rich pork and paprika sausage. Inside the restaurant is where it’s all happening though. 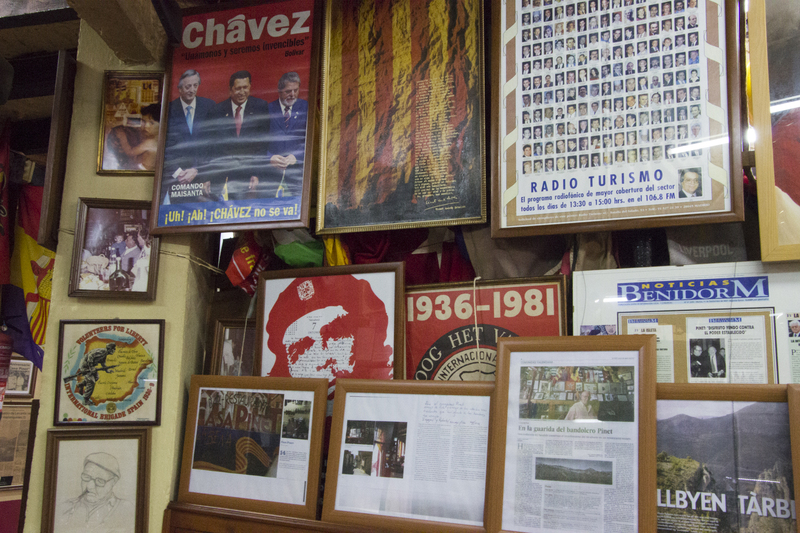 The walls and display units are bursting at the seams with communist and revolutionary memorabilia. There’s plenty of Che Guevera on display with a smattering of Hugo Chavez (Venezuela) and Fidel Castro for good measure. Lenin, Marx and Mao are there too, of course. What sort of communist cafe would it be without them?! The collection dates back many years with lots of Spanish civil war posters which deserve more than a casual glance. Allow a good half hour for some proper browsing. You won’t be disappointed. A word of warning – they are only open at lunchtime. That does, however, mean until 5pm so it’s not a big problem! Get there soon though, as the powers that be in the village seem intent on refusing to renew the lease on the place. Don’t they know how many people visit Tarbena just to go to Casa Pinet? 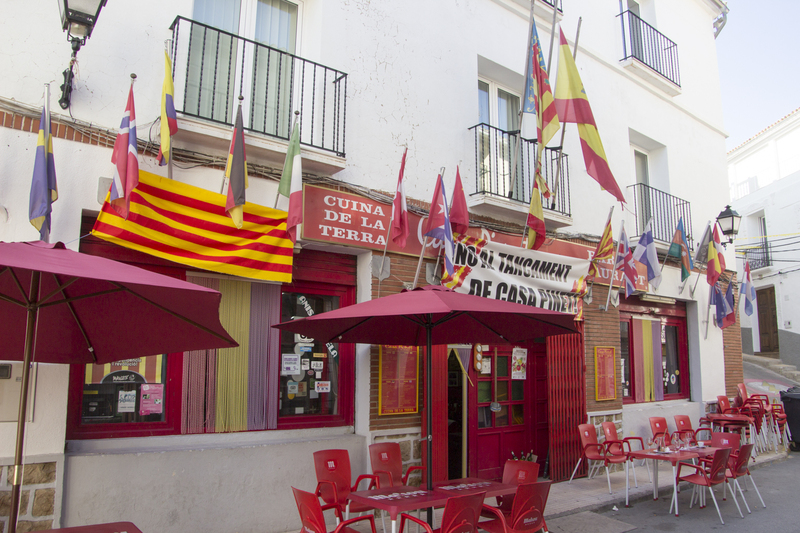 ← Calatayud – a worthy diversion from Zaragoza!